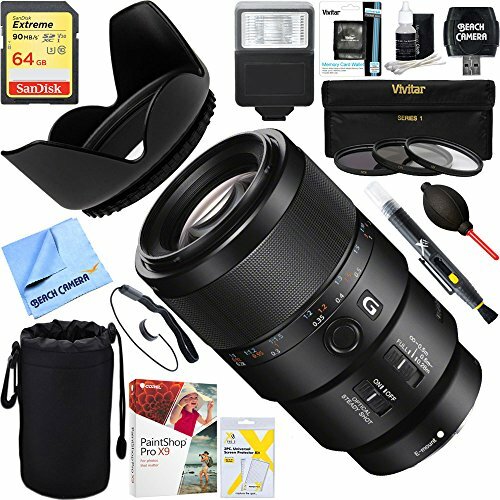 Best Lenses for Sony A7RII (Sony Alpha a7R II) full frame mirrorless camera. Looking for recommended lenses for your Sony A7R II? 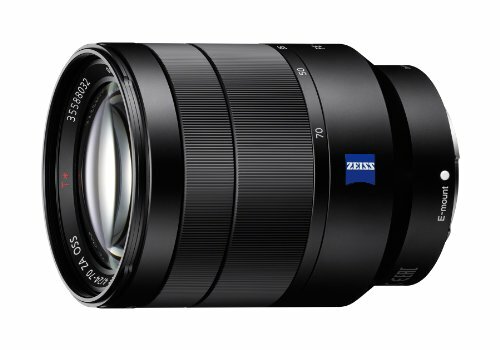 Here are the top rated Sony A7RII lenses. The Sony A7r II was the world’s first mirrorless camera to feature a Full-frame back-illuminated Exmor R CMOS sensor-42.4MP along with a 5-axis in-body image stabilization and 4K movie recording. It has a 2.4-million dot XGA OLED Tru-Finder w/ ZEISS T* coating and could be easily connected to smartphones via Wi-Fi and NFC. The a7R II pushes the boundaries of not just mirrorless, but also cameras in general. It has many new features that photographers of the future will wonder how they ever lived without. Following are some of the best lenses you can use with this tremendous camera. 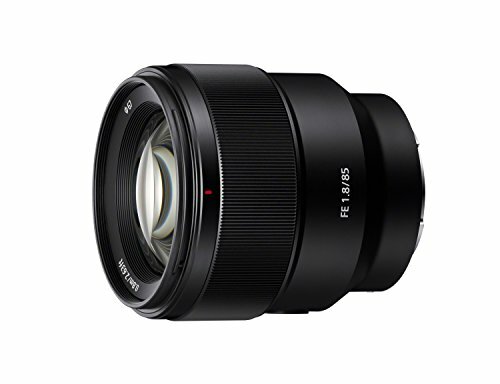 This Sony FE 85mm f/1.4 GM Lens is for professional portrait photographers and those who want to capture the highest quality images. Designed as the ultimate portrait lens, the new Sony FE 85mm F1.4 GM telephoto prime lens strikes a perfect balance between resolution and bokeh in a compact package. It’s a perfect lens for portrait photography a must have a lens as it’s the best lens among all the FE-mount lenses; additionally, this lens is ideal for a wide variety of subjects. 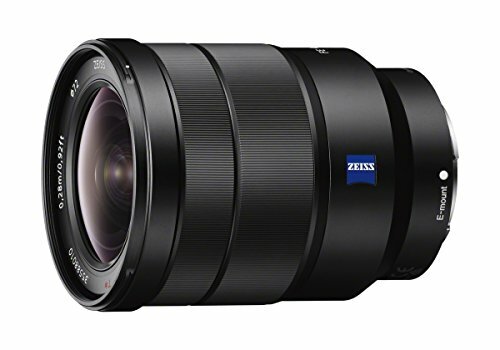 Zeiss Batis 85mm f/1.8 is an ideal portrait-length lens, this Zeiss Batis 85mm short telephoto has been designed specifically for full-frame E-mount mirrorless cameras; it has superb sharpness, fast & quiet autofocus and dust and weather sealed construction. 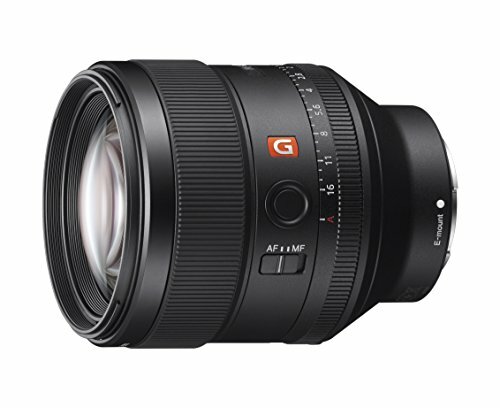 Its fast f/1.8 maximum aperture benefits while working in low-light conditions and also offers extensive control over depth of field for selective focus applications. 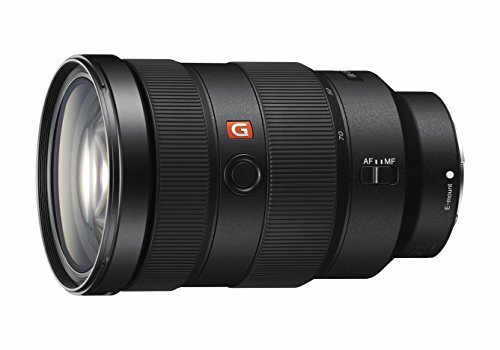 Sony FE 85mm f/1.8 is a versatile short-telephoto lens for general photography, indoor and outdoor portraiture and indoor sports in dim lighting. It has a relatively fast f/1.8 maximum aperture and autofocus; its internal focusing system utilizes a double linear autofocus motor which is said to deliver fast, precise, and near-silent focusing down to a minimum 0.8m. It features a nine-bladed circular aperture for rounded highlights and is dust and splash-resistant. Therefore, this lens is a budget option with great performance. 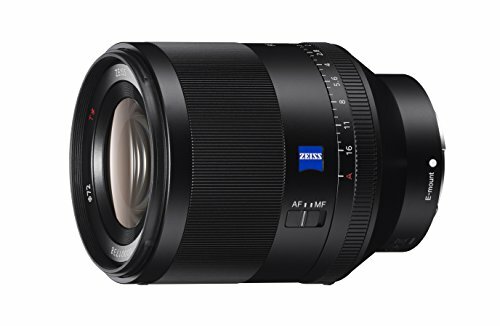 Sony Zeiss FE 35mm f/1.4 Distagon lens offers outstanding optical performance with a versatile 35mm focal length. It has a fast f/1.4 maximum aperture that provides very effective low light capability and shallow depth of field control and its aperture ring is designed for still shots and movie shooting; it provides corner to corner sharpness with Advanced Spherical elements and is loaded with the latest technology. With its normal perspective, fast maximum aperture, and high-end design, the Planar T* FE 50mm f/1.4 ZA Lens from Sony is easy to see as a go-to standard optic for full-frame E-mount shooters. The bright F1.4 maximum aperture offers excellent low light performance and adds to the 11-blade aperture and aspheric elements for gorgeous bokeh. Compared to Sony Zeiss FE 55mm f/1.8, it has better low light performance and bokeh: excellent image quality, superb sharpness, smooth bokeh and well built. Sonny Zeiss FE 55mm f/1.8 Sonnar T* is one of the sharpest lenses ever; with a large f/1.8 maximum aperture it can produce an amazing full-frame background blur (bokeh). A bright lens like this is also an advantage when shooting indoors or outdoors in low light. It has a linear motor driven internal focusing that provides smooth and quiet autofocus and a dust and moisture resistant design that ensures consistently reliable performance. 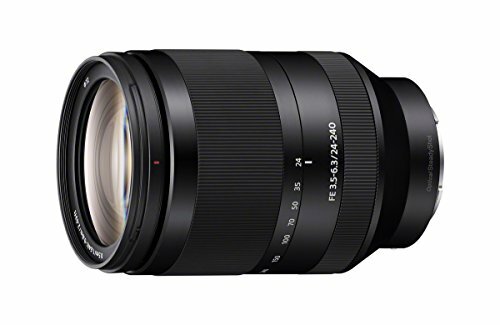 The Sony FE 50mm f/1.8 is the most affordable FE glass that offers great performance. Its bright f/1.8 maximum aperture, 7-blade circular aperture and an aspherical element, delivers an impressive image quality with a beautifully defocused background bokeh, all in a surprisingly compact and lightweight package. 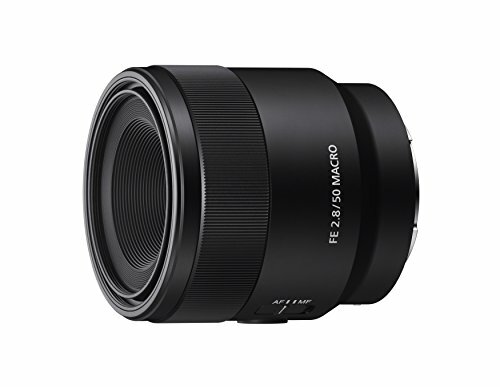 The Sony FE 24-70mm f/2.8 GM Zoom Lens is the ultimate choice for those seeking the highest possible optical performance for portrait, travel and event photography or even simple everyday shooting. To maximize its usability, this lens also features a dust and moisture resistant design, AF/MF switch, circular aperture, Nano AR coating, a direct drive SSM (Super Sonic wave Motor) focusing system that is super smooth and quiet, all in a compact body making it an ideal choice for shooting both still images as well as movies. 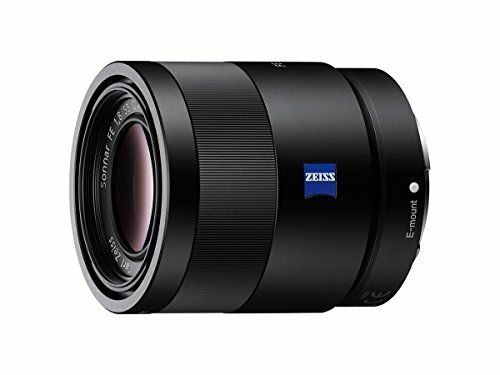 The Sony FE 24-70mm ƒ/4 ZA OSS lens features a versatile 24-70mm focal length range making it suitable for landscapes and portraits.This lens includes a variety of high-end features like Sony’s Optical Steady Shot image stabilization technology, Carl Zeiss’s T* coatings for reduced flare and boosted contrast and a rugged build quality that’s resistant to dust and moisture. If you can’t afford the FE 24-70mm f/2.8 GM lens, the FE 24-70mm f/4 ZA OSS lens is be a great choice for you. 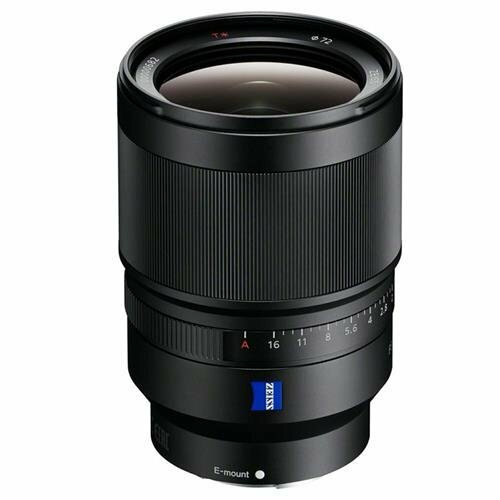 Zeiss Batis 85mm f/1.8 Lens is an ideal portrait-length lens; this short telephoto has been designed specifically for full-frame E-mount mirrorless cameras. 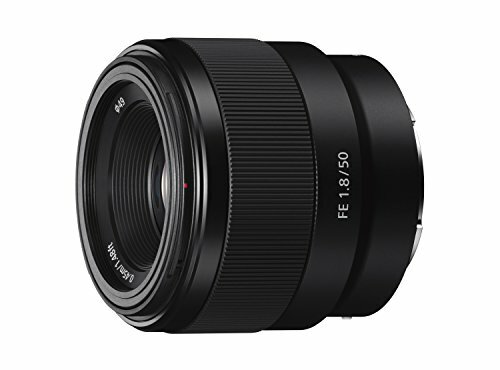 It has a fast f/1.8 maximum aperture which benefits while working in low-light conditions and also offers extensive control over depth of field for selective focus applications. 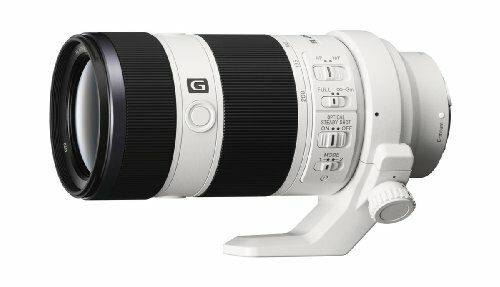 Sony FE 70-200mm f/2.8 GM OSS has a perfect combination of supreme sharpness and a spectacular bokeh, this lens is ideal for photojournalists, sports photographers and wedding photographers; it covers a portrait-length to telephoto perspectives and is sharp, focuses quickly, and has minimal distortion. It’s basically characterized by both its fast f/2.8 maximum aperture and inclusion of OSS (Optical Steady Shot) image stabilization, this lens is ideally suited for the handheld shooting of distant and fast-moving subjects along with being a pro-grade image quality lens. The small size, versatile 35mm focal length, and outstanding overall performance make Sony FE 70-200mm f/4 G OSS lens an ideal match for compact 35mm full-frame format E-mount bodies. This lens is suitable for portraits and sports photography where you want to separate the subject from the background. It is as sharp as the f/2.8 version for less than half the price, but the downside is that it isn’t extremely functional in low light. 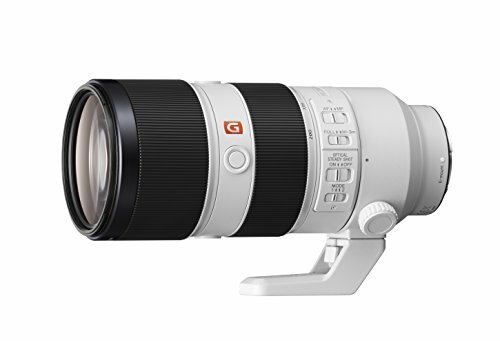 This lens is ideal for travel, landscape and wildlife photography, the Sony FE 70-300mm f/4.5-5.6 G OSS lens has the longest reach out of any FE lens to date. Its image quality is praiseworthy and leaves us wanting more of the same quality. It has two ED (Extra-low Dispersion) glass elements, Sony’s Nano AR coating and Optical Steady Shot image stabilization, which all work together to effectively suppress spherical aberration, chromatic aberration, and distortion and also ensures beautiful high-resolution results for both still and video shooting.. 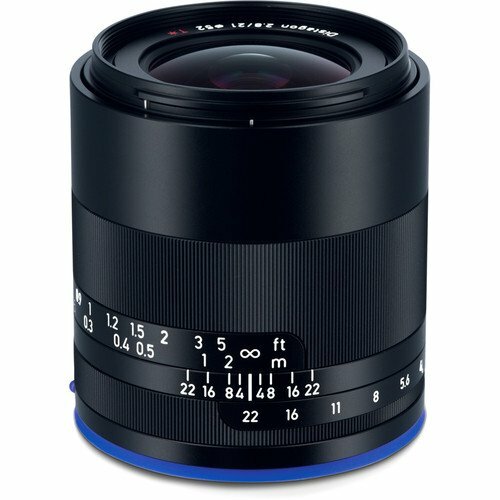 The Zeiss Batis 18mm f/2.8 is an excellent FE-mount lens with incredible sharpness and color rendition. It is well-suited for interior photography, architectural photography, and astrophotography. 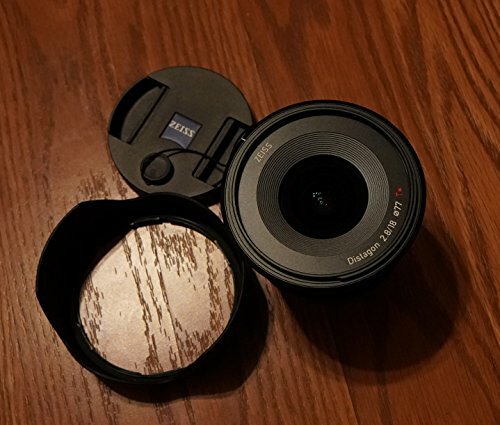 The Zeiss Batis 18mm f/2.8 blends its extremely wide 99° angle of view with a high degree of functionality and it is extremely sharp all the way to the corners. It has a consistently excellent image quality right to the corners which makes the lens perfect for the challenges of landscape photography, astrophotography and architectural photography. If you are going to step up to full frame, you can choose this one. 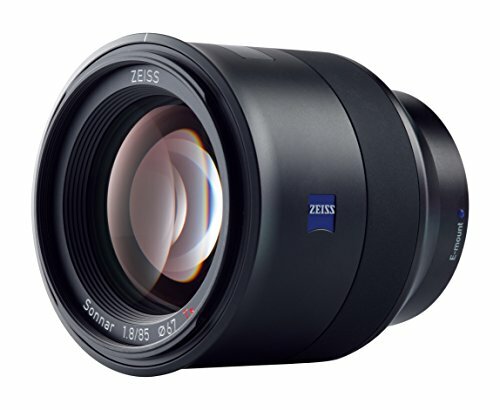 Zeiss Batis 25mm f/2 lens is ideal for architecture, landscape and interior photography. Its 82° angle of view is paired with a 7.9″ minimum focusing distance for producing creative perspectives and unique close-up imagery. This lens’s bright f/2 maximum aperture benefits while working in low-light conditions and also offers control over the focus position when using selective focus or shallow depth of field techniques. Despite its compactness, the super wide-angle Zeiss Loxia 21mm f/2.8 Lens offers outstanding image performance across the entire image field of a full-frame sensor. It can capture architecture, landscape and also three-dimensional subjects in close-up against a spacious background. This lens is an absolute must-have for wide-angle enthusiast photographers who want to capture even the tiniest details of a special moment in a photo or on film. 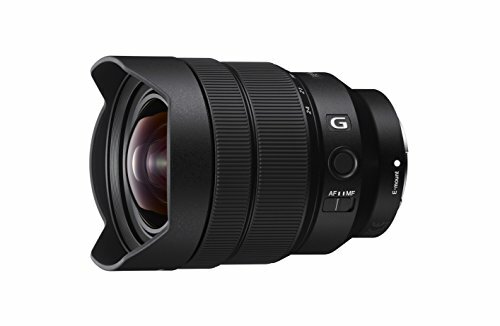 Sony FE 16-35mm f/2.8 GM is a fast and flexible wide-angle zoom lens; distinguished by its constant f/2.8 maximum aperture, this lens offers consistent performance throughout the zoom range and benefits while working in low-light conditions. No matter what the zoom setting is or focus distance you shoot at, this lens consistently delivers superb resolution from corner to corner, with a stunning background bokeh when required. It has a compact, lightweight design which makes it manageable for active shooting. Furthermore, it’s ideal for landscapes, architecture, close up portraits, sports, action and much more. 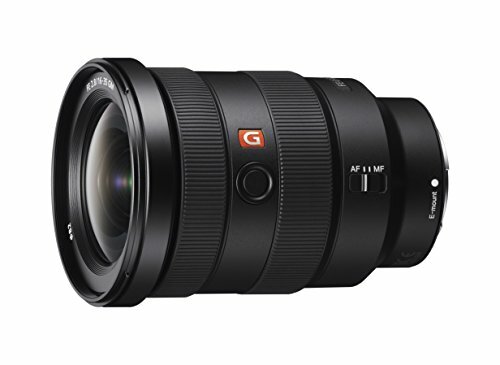 FE 12-24mm f/4 G is Sony’s widest full-frame E-mount lens. Its ultra-wide 12-24mm range features cutting-edge refinements for stunning corner-to-corner G Lens resolution at all apertures, while quiet, fast, precise autofocus makes it ideal for movies as well as stills. It is an excellent choice for landscapes and architecture, and is compact, lightweight, and mobile so it can go wherever the great shots are without slowing you down. 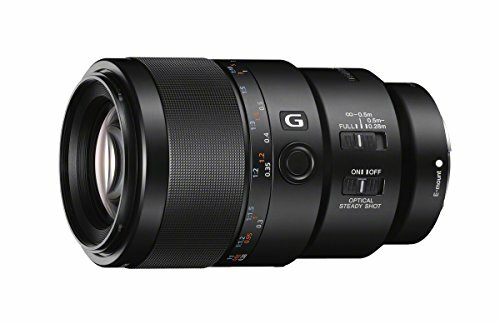 G-series optical design is ideal for HD and 4K moviemaking so, this Sony FE PZ 28-135mm f/4 G OSS Lens is the best Lens optimized for video. 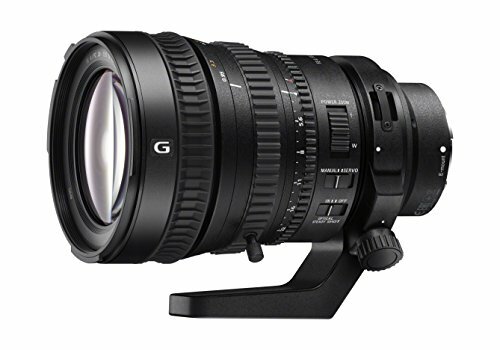 And is designed to satisfy 4K production requirements; it’s actually a wide-ranging zoom lens that covers wide-angle to telephoto perspectives while adding many more features to your full-frame a7 cameras. This lens is a full-frame 24mm to 240mm zoom range lens, which allows the lens to cover an extensive variety of shooting situations. It has a 10x effective zoom range, making it ideal for landscapes, snapshots, portraits and travel where reducing luggage is a priority. The ability to switch from wide angle to telephoto without having to change lenses also means that more of those fleeting moments that make great shots will be captured right away. The Sony FE 90mm f/2.8 Macro G OSS is an ideal lens for macro shooting, the full-frame 90mm medium telephoto macro E-mount lens features built-in image stabilization for sharp, clear images at up to 1:1 magnification, even when shooting handheld. Sharp in-focus rendering is achieved with a floating focus mechanism that suppresses aberration equally at all focusing distances, whether the subject is far away or extremely close. Finally, a handsome and sturdy build with a dust and moisture resistant design contributes to the overall quality and durability of this fine optic, making it a perfect option for macro photography. Sony FE 50mm f/2.8 Macro Lens is ideal for everyday photography; you can capture the perfect close-ups with this full-frame 50mm macro lens, with a wide f/2.8 aperture and a 6.25” (0.16m) minimum focusing distance with a 1:1 macro capability. The optical and mechanical construction of the lens has less glare and ghosting, even without a lens hood. It can also be used on APS-C models where it provides a 75mm equivalent focal length. Rokinon Xeen Cine lenses are built specifically to be used as a cinema lens with Sony E-mount. These lenses feature an internal focusing design so that the lens does not change sizes while focusing to minimize any distortion. Each lens in the set is multi-coated for good contrast, glare prevention, and is color matched to a factory standard; allowing you to assemble a set over time with the minimal color shift. And, the SLR Magic Cine 50mm f/1.1 Lens supports cine-style shooting on Sony E-Mount cameras. It weighs than a pound and covers full-frame sensors with a fast f/1.1 maximum aperture for shallow depth of field.